Barcelona have reportedly brought forward their plans to sign Jean-Clair Todibo this summer, with a deal tipped to be completed in the next 48 hours instead. As noted by the Evening Standard earlier this month, the Catalan giants struck a deal with Toulouse to sign the 19-year-old at the end of the season when his contract expires. However, the teenager has been frozen out of the first team since November as he hasn’t been called up for the last 10 Ligue 1 games, having previously made 10 appearances this season. With that in mind, Mundo Deportivo report that Barcelona will accelerate their plans to sign him, and hope to strike a deal in the next 48 hours ahead of the transfer deadline to add him to the squad this month, with a small fee touted. It’s a sensible strategy if accurate, as ultimately it’s better to have him acclimatising and settling with the rest of the squad in the coming months rather than sitting out on the sidelines in France, seemingly with no chance of playing regularly given his future lies elsewhere. 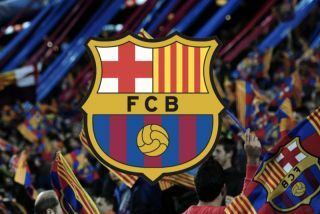 In turn, it remains to be seen if an agreement is reached this week, with coach Ernesto Valverde undoubtedly now receiving defensive reinforcements to add quality and depth to his backline both for the short term and long term. Jeison Murillo arrived on loan earlier this month, while Clement Lenglet was signed last summer. Adding Todibo now probably doesn’t offer the Spanish tactician an immediate option, but allowing him to learn the language, culture and style of play at the Nou Camp over the next few months could be hugely beneficial for him to make his mark for Barca in the years ahead.